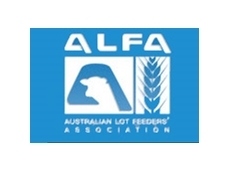 Australian Lot Feeders Association is a national body for the feedlot industry. The provide information on the industry, event updates, news updates and publications for companies and people in the feedlot market. Pastoral and Feedlot Systems Australia supplies Nutridose Water Medicators to Australian Graziers to maintain cattle and sheep weights throughout the dry seasons. 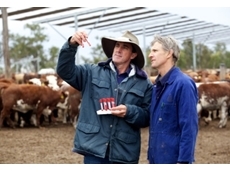 Ironbark Herefords provide Heifer Classing and Overall Herd Management. Ironbark Herefords also have Ironbark blood Heifers and cows for sale at all times. 22/06/12 - The feedlot industry is expanding at a rapid rate, and its importance in Australia is subsequently more profound than ever. 17/07/08 - Phibro Animal Health provides Wormtec, an in-feed anthelmintic that is used to prevent migration of Ascaris suum, Oesophagostomum dentatum and other intestinal infections found in pigs. 15/07/08 - Phibro Animal Health manufactures and supplies Aviax that can be used for the prevention of coccidiosis in broiler chickens. Aviax is an ionophore anticoccidial that has an active ingredient called semduramicin.